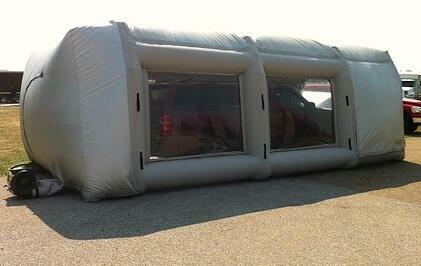 Automotive Mobile spray booths are usually used in car companies for painting cars. For many companies, they consider the exterior part of the car to be more important than the interior because it can easily attract more customers to the cars appearance. Because Mobile spray booths are very important for many car companies, they see to it that they have the best. Some of you may be asking what a spray booth is, and where can you purchase one. Mobile spray booths is an area, like a room, where you can spray paint in a controlled environment. The room consists of ventilation fans and burners that are properly installed to avoid any disaster or failure from happening. When using spray paint in the automotive Mobile spray booths, the room should be set to the right temperature, airflow, humidity and the quality of paint that will be used. If these conditions are not met, then there is a great chance that it will cause problems and may result to a bad paint job. If paint booths are not properly installed, then it will only lead to waste of effort, time and money. There are also some companies who offer custom made automotive Mobile spray booths to suit the clients’ needs and wants. You can just tell the company what your expectations are and what do you want for your spray booth. Explain what you want and it will be done custom for you. When something goes wrong with the spray booth you have purchased, you might have difficulties trying to fixing it. It is important to have proper maintenance to prevent any problems that may arise with your new paint booth. If you are looking for the best company that caters automotive Mobile spray booths, check the warranties they offer. A good warranty means a very good insurance for your paint booth. Before you intend to buy a spray booth, you have to plan first where you want your spray booth to be installed. It is not really suggested to build a spray booth on a residential area. It should be far away from homes if possible so that you will not receive or hear any complaints from the neighbors about the irritating smell of paint. PreviousWelcome The Best Company In Inflatable Paint Booth Production	NextAre you looking for an inflatable spray booths?